The Australian Immunisation Handbook has been updated to include Meningococcal B vaccination and recommendations (see below table). When referring to this table you need to be mindful that there is sometimes a booster dose required when vaccination was commenced prior to 12 months of age. This booster is additional to the primary course and is determined by the age at commencement of the vaccine course. For example, if you gave an 11-month-old a Bexsero vaccine, they would need to have 2 primary doses AND a booster dose, 8 weeks apart. GSK has recently made a communication to the private market regarding a supply constraint impacting private market availability of Engerix-B® adult vaccine. Please note that Engerix-B paediatric dose is still available. GSK are prioritising hepatitis B vaccine availability for those most at risk of the disease and can confirm uninterrupted supply of Engerix-B for all Government vaccination programs where Engerix-B is the vaccine of choice. 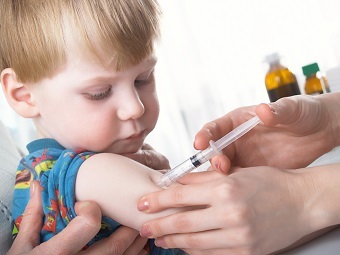 There is a nationwide shortage of Zostavax vaccine and as such supplies of the vaccine remain restricted. NSW is working closely with the Commonwealth and all other States and Territories to obtain more stock of Zostavax, however this may take some time and is looking likely to last into the New Year. We will advise as soon as we have more information. Practices need to ensure that their orders are in by Tuesday 20th December at 4pm for delivery before Christmas. Routine deliveries will not recommence until the 3rd of January.